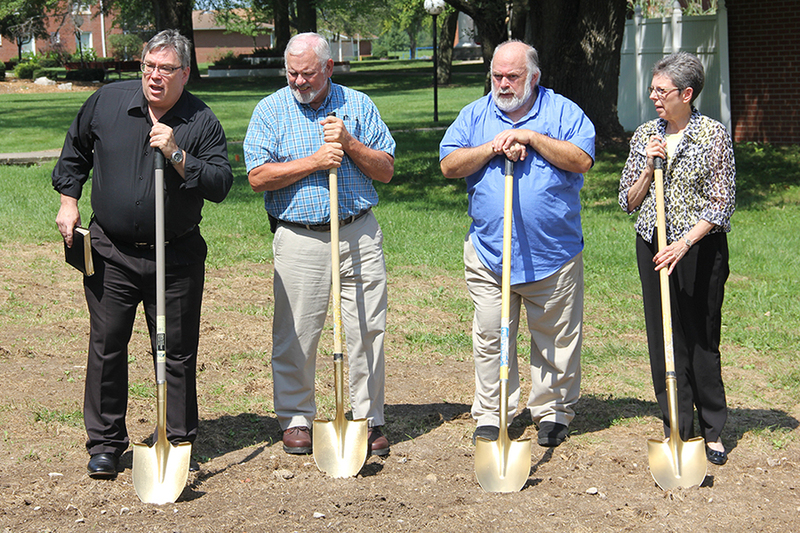 On Aug. 28th the Sunnydale Church broke ground on their three phase new building and renovation project. The church invited Conference leaders to take part in the ceremony. Present were president Dean Coridan and treasurer Rhonda Karr. 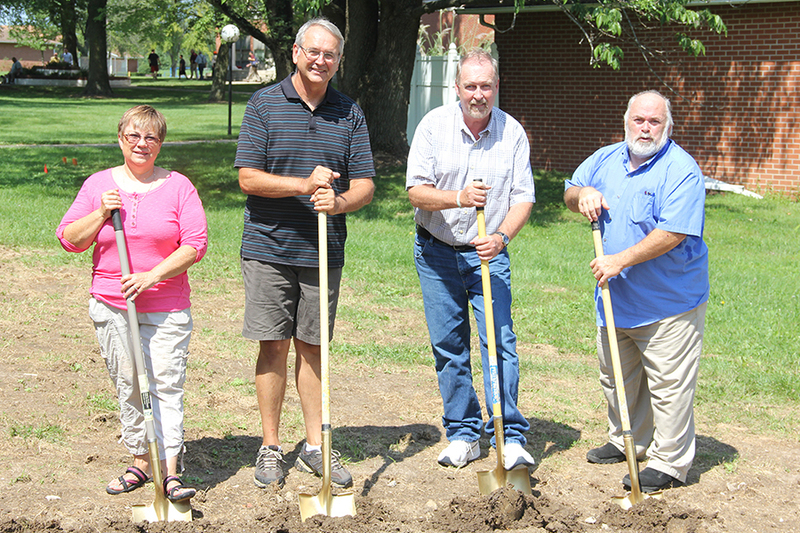 Also present were church pastor Roger Larsen, head elder and new building and renovation committee member Gary Patterson, and new building and renovation committee members Deanne Prowent, Rick Stout and Brad Foster. Phase 1 of the church’s building and renovation plan involves building a new multipurpose room and kitchen, which will extend out toward the Academy boys dorm. Phase 2 will include a new foyer, restrooms, offices and overall extended space, and new classrooms in the basement. Phase 3 will include renovation of the sanctuary with new carpet, pews or chairs, new windows, lighting and other improvements to the front of the sanctuary and baptistery. Roger Larsen previously served as pastor of the Sunnydale Church.